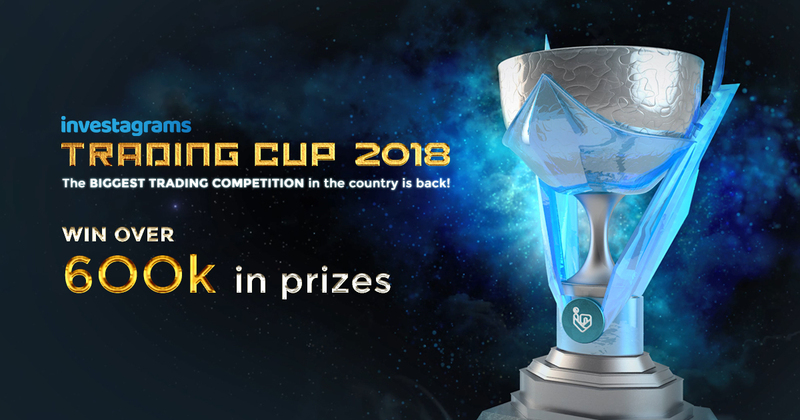 A top cash award of at least Php200,000, round-trip tickets to any Southeast Asian country and other prizes are at stake in the Investagrams Trading Cup 2018, the country’s only virtual online stock trading contest, now on its second year. The total prizes could reach up to Php600,000. One of the Philippines’ leading startups founded by Filipino millennials, Investagrams aims to help ordinary people invest and make money in the stock market. Through its web site, apps and social media platform, it provides learning modules, analytic tools and information on basic and advanced topics on stock market trading. Opening a basic account is free but it charges subscription fees for premium services. To join the virtual trading competition, contestants must register and pay Php600 for a regular pass or Php999 for a booster pass that entitles winners to double the cash prizes. In addition, the booster pass includes a three-part learning module on trader profiling and strategies, technical analysis and fundamental analysis. The deadline for registration is on August 19. 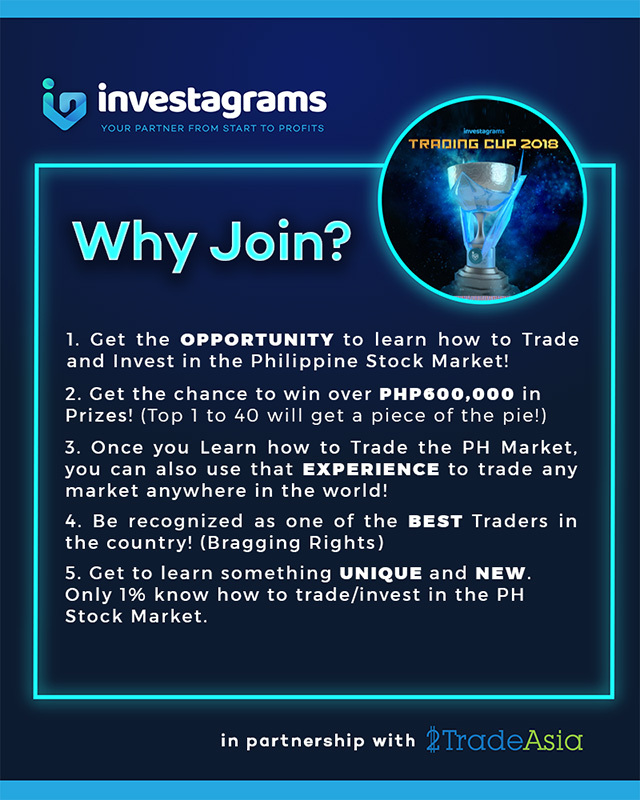 The Investagrams Trading Cup 2018 will run for three months, starting August 20 (Monday) until November 23 (Friday). A total of 40 winners will be awarded with cash, airfare tickets and other prizes by the end of the competition. The top 3 winners will also have Korea, Hongkong and Taiwan as additional round-trip ticket choices if they had purchased the investa booster pass. "We established Investagrams Trading Cup 2018 because we wanted to have an avenue for Filipino traders to hone their skills while competing for great prizes. It is also beginner-friendly because we provide holistic learning modules to our participants containing different trading strategies,” said John Christian Bisnar, CEO and co-founder of Investagrams. Investagrams is hoping to attract 5,000 to 10,000 participants this year, a significant increase from the 1,900 players from last year when it first launched the contest.